Comedy Of Chicago: Queer Comedy 5 Year Anniversary at Zanies! Queer Comedy 5 Year Anniversary at Zanies! 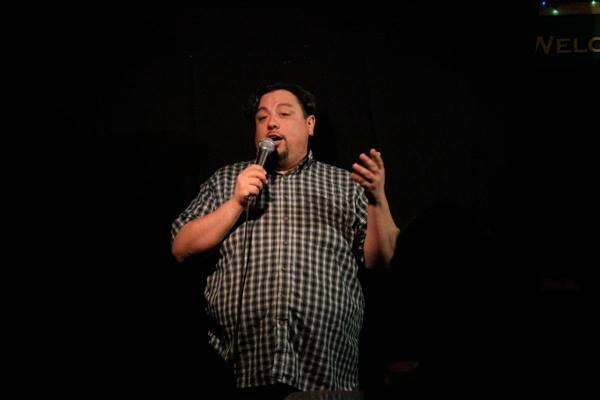 On Tuesday July 19th, Queer Comedy at Zanies celebrates 5 years with headliner Bill Cruz! The all-inclusive comedy show will be hosted by creator Adam Guerino and feature Ali Clayton, Archer Coe, Rachel McCartney and more. Previous comedians have included James Adomian, Cameron Esposito, Beth Stelling, Brad Loekle, Matteo Lane, Liza Treyger, Megan Gailey, Joel Kim Booster and more. Comedians who have appeared at Queer Comedy have also appeared on Conan, Comedy Central, Chelsea Lately, @Midnight, The Late Late Show With Craig Ferguson, BET, TBS Just For Laughs, SXSW, Comedy Bang Bang, The Pete Holmes Show, Last Call With Carson Daly, A Night At The Apollo, and Last Comic Standing. For five years and counting, every Queer Comedy show continues to demonstrate that no matter whether audience members are queer or straight, laughter knows no sexuality. $10 tickets available at Chicago.Zanies.com or at the door. Zanies Comedy Club 1548 N Wells.